(HealthDay)—Along with other hazards, winter storms bring with them an increased risk for illness and death from carbon monoxide poisoning. Carbon monoxide is a gas known as the silent killer because you can't see, smell or taste it, Dr. Diane Calello explained in a news release from Rutgers University. Only use generators outside and keep them more than 20 feet from both your and your neighbor's home, doors and or windows. Carbon monoxide gas from a generator can enter homes if the generator is too close. Clear snow from all heating and dryer vents. Be sure that gas appliances have adequate ventilation. If necessary, keep a window slightly open to allow airflow. Make sure you open the flue when using a fireplace, too. Never use the stove to heat your home. Never use generators, pressure washers, grills, camp stoves or other gasoline, propane, natural gas or charcoal-burning devices inside. This includes inside your home, basement, garage, carport, camper, boat cabin or tent. Don't even use these devices outside near an open window or door. Install carbon monoxide detectors in your home. Monitor the batteries and replace them if needed. If detectors are old or not working properly, replace them immediately. Don't idle a car in a closed garage. Don't idle a car in a snowbank, either. 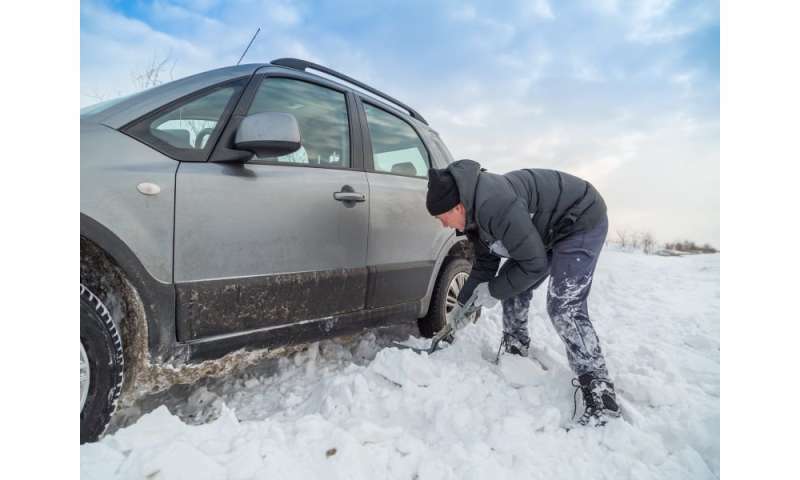 If your car is stuck in the snow, clear the tailpipe and surrounding area to keep exhaust fumes from getting into the car. If you suspect carbon monoxide poisoning, call 911 immediately and get everyone out of the building. Don't waste time opening windows. Also call the Poison Control Center—1-800-222-1222—for immediate treatment advice, Calello said. The National Safety Council has more on carbon monoxide.